The Hawksbill by Rex Resorts is a unique Caribbean resort that is set in 37 acres of lush gardens. Here you'll find four private beaches for you to enjoy. 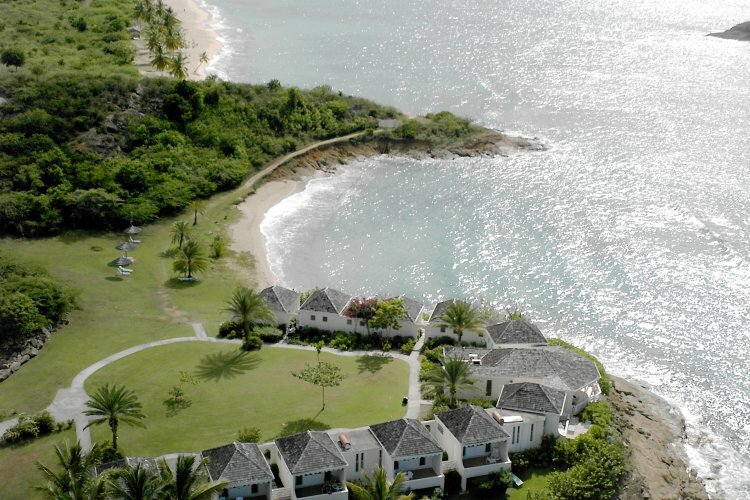 Including Antigua's only 'clothing optional' beach, perfect for those who don't like coming home with tan lines! The resort offers a variety of accommodation buildings set either in the gardens amongst the palm trees or overlooking the sparkling Caribbean waters. Hawksbill by Rex is a great destination for a large family holiday, as the colonial style Great House is roomy enough to accommodate everyone in style. There are many activities to do here like windsurfing, sailing, snorkeling, golf, tennis and many more. There is also lavish evening entertainment with a definite Antigua style, after all there's no reason to stop having fun once the sun goes down.